What a lovely ‘photo, Christine! Thanks for sharing. And congratulations on being long-listed! That’s wonderful. I’m glad you had the chance to enjoy CrimeFest. I haven’t been able to go yet; things just haven’t worked out for that. But perhaps some time I will. It’s always such a terrific event, from what I hear and read. Thanks so much, Margot. 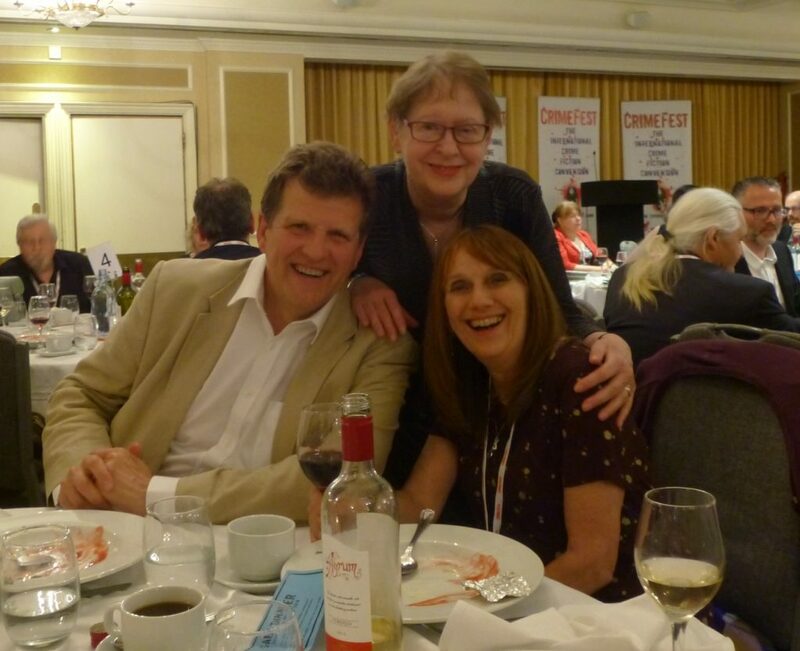 I do so hope that you make it to Crimefest one day – or even just to the UK. We could meet up with Moira in London! Very exciting that your story is on the CWA Short Story Dagger Longlist. Crimefest sounds like a nice event. Thank you, Tracy! Yes, Crimefest is highly enjoyable and I always look forward to it. That sounds like a great event – glad you enjoyed it. And congratulations on the shortlisting (as I am in an unusually good position to tell you, JUST as good as winning) and on the next awards list too. Thanks, Moira. Yes, I felt like one of those actresses at the Oscars who says ‘it is an honour just be nominated!’ And it’s true!